Smiling Bar-B-Q & Shabu Shabu Restaurant is another exciting venue in the area of Satwa, Dubai to bask in traditional Chinese fare along with Filipino and Thai delicacies. 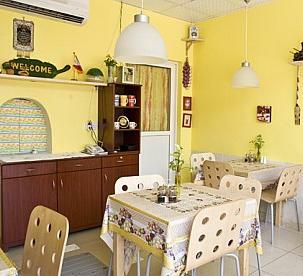 All these cuisines are prepared from fresh ingredients and following the chef’s recipes, which makes the food of this bistro full of flavours and appetizing. Like the menu of Smiling Bar-B-Q & Shabu Shabu Restaurant is wide-ranging, it has all what you need to get refreshed, i.e the best way to enjoy delicious meals is in open air which restaurant offers. Besides that the facility to takeaway service aside from dine-in provision is great for those who want to enjoy at home. Due to these fine features Smiling Bar-B-Q & Shabu Shabu Restaurant is quite popular among the Asian community and food lovers. Smiling Bar-B-Q & Shabu Shabu offers a decent line-up of products and services to its customers in the city of Dubai. These products and services makes this bistro different from its competitors. To learn how it is different from others see the details provided under. - Drinks can also be found in the menu, which doubles the treat of having food at this venue. - Outdoor seating is another highlight of this eating place, as it attracts several people, who like to to enjoy dinner in open air. - With its take away service people can carry away the delicious food of this restaurant as well. - As it is a family friendly restaurant therefore people can bring along their kids too. The opening hours of the Smiling Bar-B-Q & Shabu Shabu restaurant are from 11:00 am till midnight. This restaurant follows these timings on all seven days of the week, as it opens daily. 8b Street, off Al Hudaiba Street, Dubai, United Arab Emirates. Bada'A – Dubai bus stop is just 4 minutes walk from the Smiling Bar-B-Q & Shabu Shabu, as the distance between these two spots is close to 350 metres. You can get to this bus stop by taking any of these bus numbers 7, 88, 93, C14, C26 and F11. After arriving at this bus stop, bus user should head in the southwest course on شارع السطوة‎/D 90 towards 25th Street, from where he or she will turn right onto 25th Street and then make a slight left turn in order to find the destination on the right side. Directions.